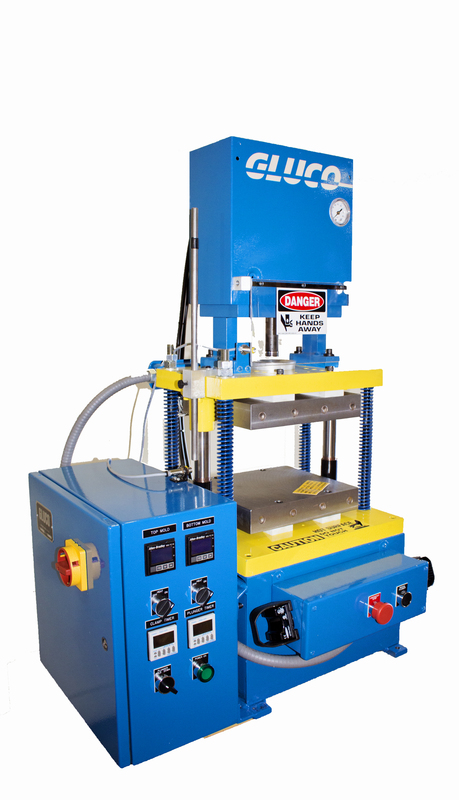 Transfer Press for INSERT MOLDING and ENCAPSULATING electronic components, medical parts and other items with epoxies, silicone, diallylphthalate, silicone rubber and other thermosets. The Model E10-1 is pictured to the left and the Model E5 below. 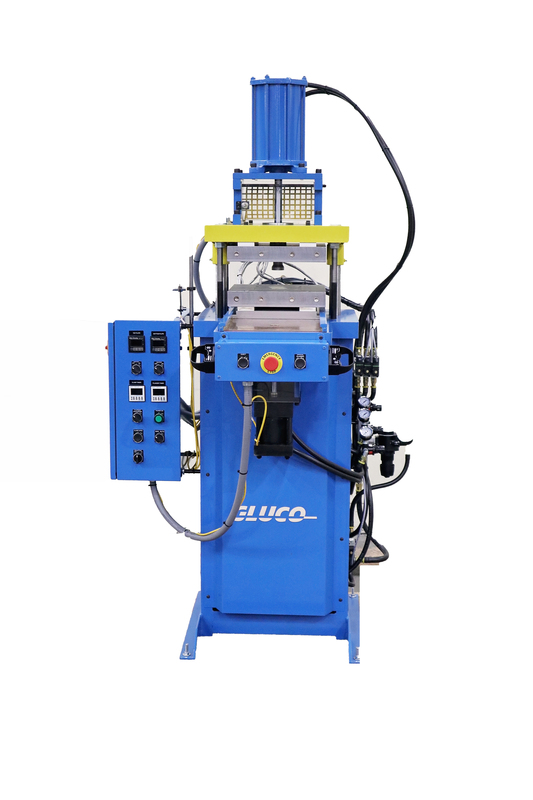 These presses are air powered, direct acting, simple to install and operate.The 5 ton E5, is to be placed on the top of a bench and is highly energy efficient, clean, and silencer equipped for quite operation. It is well proven in production and laboratory environments molding a wide variety of thermoset compounds. P.L.C. controlled for flawless sequencing. Digital temperature controllers to maintain +/- 1° F on the optional heated platens. Pneumatically operated pot and plunger for transferring molding compounds into your mold. 2 hand anti tie down opto touch buttons for a safe ergonomic operation. Digital timers for precise cure time.